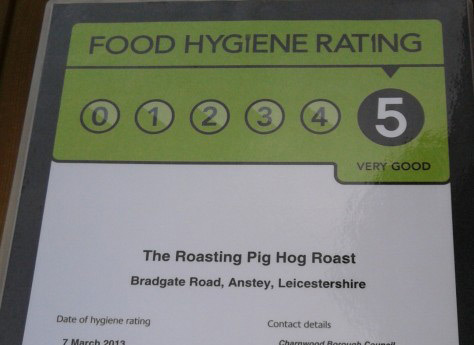 Offering top-quality hog roasts in Leicestershire, The Roasting Pig is the perfect catering solution to your next gathering or event. Our expert service has earned us numerous glowing testimonials from previous customers, as well as a flawless five-star hygiene rating within the industry. From our base in Anstey, Leicestershire, we’re ideally located to serve not just the city of Leicester, but the wider county and surrounding areas too. So whether you’re arranging a wedding at Leicester’s City Rooms, or a rural soiree in Melton Mowbray, we’re on hand to deliver a mouth-watering banquet to truly impress your guests. 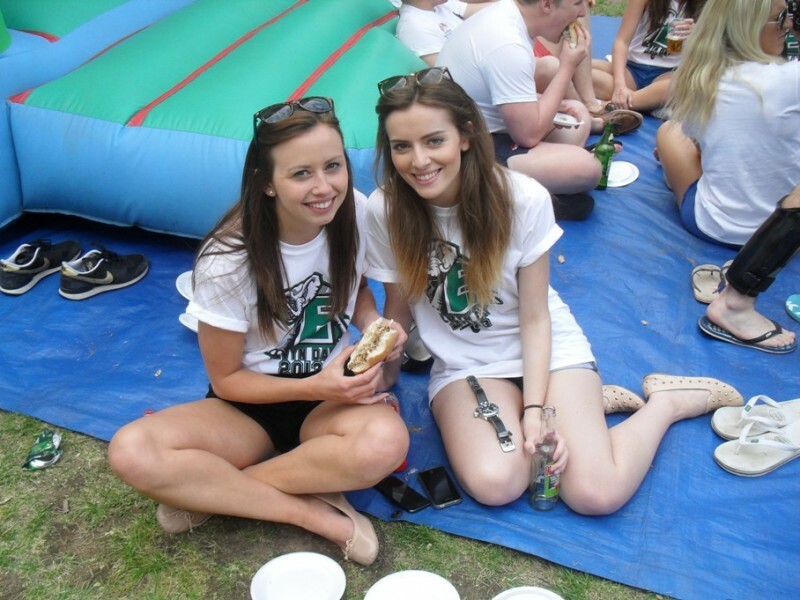 A delicious Leicestershire hog-roast is the perfect accompaniment to any type of event, including birthday parties, christenings, anniversaries, and corporate events. We specialise in Wedding packages, with options to suit all types of budget. These range from a simple hog roast on its own, to providing a full itinerary of extras such as bread rolls, sauces, sides, cutlery, napkins, and even a gazeebo. Our hog roast catering service also covers the Hinckley and Bosworth areas, with a friendly, professional and fully-uniformed service to ensure your guests are well taken-care of. 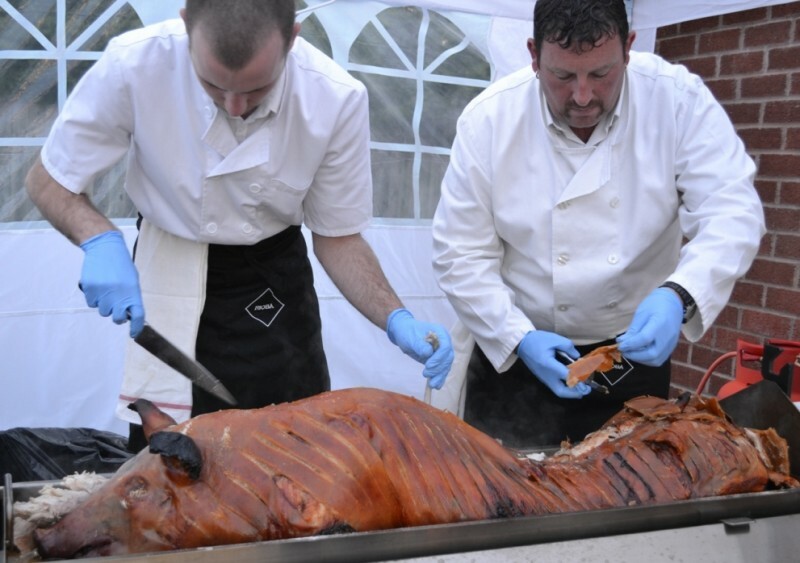 Enjoy stress-free catering by arranging your very own hog roast in Leicestershire. We cover Charnwood and Harborough along with most of the East Midlands with our impressive selection of fresh meats. All locally sourced, you can choose from a traditional roasted hog, as well as beef, lamb and rotisserie chickens. Don’t worry if you have specific needs to consider, as we can cater to your vegetarian guests alongside most other dietary requirements. 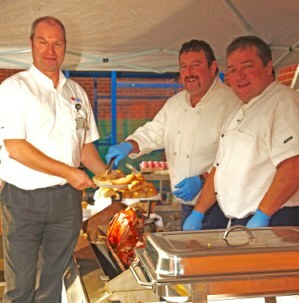 If you’re looking to cater your event yourself, we also have the option to hire just our hog roast equipment. We’re able to collect and deliver within a 30 mile radius, so even customers as far as Rutland can be accommodated. Our hog roast hire service comes with a complete demonstration, so you’ll be fully confident in using the gas oven, and all set to get cooking. For any further questions, or to request a quotation, please contact our office on 0116 212 5259, and we’ll be more than happy to assist.